Manchester Camerata has a strong team of directors who play a crucial role in guiding the business of the orchestra at a particularly challenging time. They oversee the development of policy, strategy and operations – underpinning the orchestras sense of purpose and direction. They work closely with the Artistic Team to manage and develop the company helping to make it one of the most exciting and forward thinking music organisations in the country. Geoffrey Shindler is a partner at Lane-Smith and Shindler LLP. 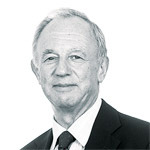 He began his career as a solicitor with March Pearson and Skelton and from 1986 – 2006 was Head of Trusts and Estates at Halliwell Landau then Halliwells LLP. He was educated at Cambridge, where he obtained a first class honours degree. He is a Director of the Royal Exchange Theatre and Chairman of its Development Committee. He is also a trustee of the Portico Library and used to be on the board of Opera North. He is a former Chairman of and is now President of the Society of Trust and Estate Practitioners, The Institute of Fiscal Studies, North West Branch, and the Local Review Committee (Parole) HM Prison Manchester. A former member of the North West Arts Executive Committee, Geoff is also on the general committee of Lancashire County Cricket Club, and regularly contributes to a variety of professional journals. He is married to Gay, and they have three children and seven grandchildren.